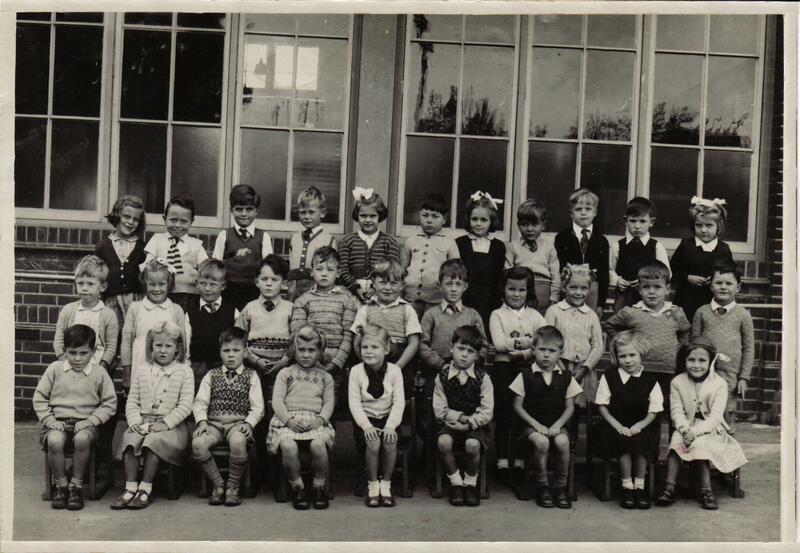 Brian Penfold has kindly sent us a class photo taken at Benfleet School in 1952-3 and has added some of his memories from when he was at the school. Brian is in the photo and told us “I’m the only one not looking forward”. I was born in May 1947 so the picture was taken in 1952-3. Michael Walsh is is in the top row second from the left. The Head Master was F.G.Woods I believe and the school was closed to house the refugees from the floods, I believe Mr Woods was honoured for his part; I remember standing at the gates of the school to watch one of the royals visit. My parents took in an old man from Canvey and were given army blankets. My Father went to the school to help and gave his new overcoat away to someone just in pyjamas. Hello, I recognise some of the pupils, but they were in the year above me at school. The lad fifth from right is Dennis Causton, and the lad third from left I think is Bernard Coup. Forgive me if I’ve spelt the surnames wrong, it’s a long time ago. I remember Michael Walsh (Froggy) very well as we always seemed to be at loggerheads at school. back row: To Michael’s left is Robert Huer, next was Richard, in between the two girls was Phillip Jones? left of Michael Read, David? middle row L to R: Donald, Leslie (I think her dad owned the barbers shop up from cemetery corner), me then Howard? Miss two then Michael Salisbury? Dennis, miss one then Glynis, Ian? Graham. bottom row: Just Sheila and I think July Selby on the end. Left of Michael Walsh is it Shirley Frost? If anyone has positive names please post them and I will include them in a new picture. One teacher that really inspired me and set me on the road to a career in commercial art/design was a Mr Beadle. He was a natural artist and would ask one of us to draw a chalk mark on the blackboard on which he added, to make an elaborate drawing of a scenic view etc. He also told us about his exploits in WW2 when he piloted a Spitfire. Being a good story teller, he had us fascinated when he made up a story from which he was able to continue each Friday afternoon after asking one of us where the story had left off on the previous week. I went on to have a successful career in art and design, designing packaging for Trebor Sharps and designing the HENRY vacuum cleaner. Thank you Mr Beadle. Thanks Michael Reed, I remember you well. Looking again, I recognise Philip Jones on the top row in the centre. Anyone else out there who can lend a hand in identifying these charming little characters? That’s me back row 3rd from right! is it Glynis Hearn, middle row 3rd from right? Definitely is both Graham Eastgate, middle row far right and Sheila Hawtin, bottom row fourth from left. Other names could be Roger Purdy, ? Coulsen, Sandra Anthony, Howard Biffray? Blimey I’ll have to think a bit harder!!! Could be Ian Purdy. Who knows? Yes, this is me on top row, second from left. I also recognise Graham Eastgate, middle row far right and I think it’s Sheila Hawtin bottom row, fourth from left. It’s difficult to put names to faces even though I vaguely recognise them, we were all so young!!! I do remember we got the day off for the Coronation of QE2 and we were given a New Testament and a book about Essex. We also didn’t have to attend school when it was given over to refugees from the Canvey floods in 1953.